This statistic shows the results of a 2012 survey in the United States regarding the most important problems in the current U.S. economy. The respondents were sorted by political party. 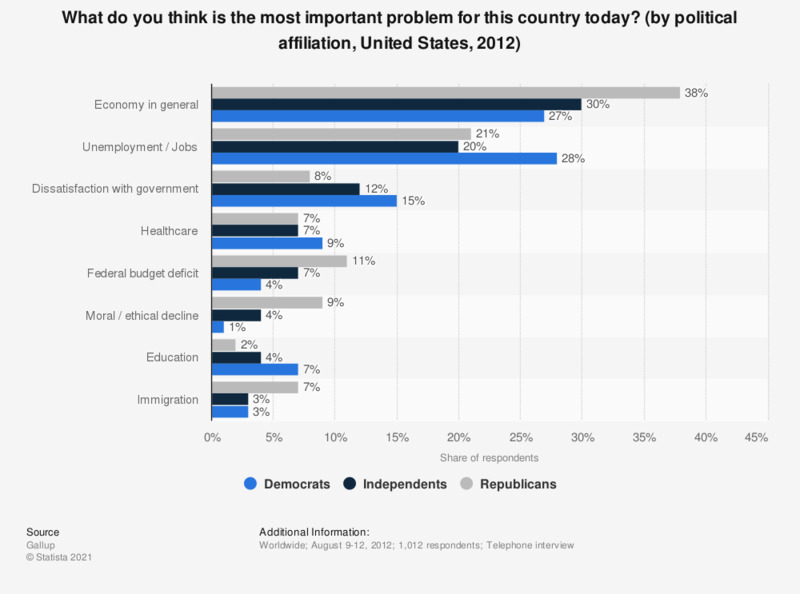 In 2012, 27 percent of democrats, 38 percent of republicans and 30 percent of independent voters stated that the economy in general was the most crucial problem for the United States.